Born and raised in Jacksonville, Florida, Ms. Mussallem attended Bishop Kenny High School and Jacksonville University. She earned a Bachelor of Science degree in International Business and her honors include the International Business Student Scholarship Award and Departmental Honors in International Business. 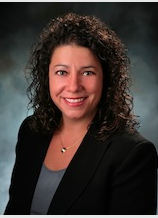 Ms. Mussallem attended and earned her law degree in 2001 from Stetson University College of Law in St. Petersburg, Florida’s first law school.